Who is targeted by COINTELPRO and why? What are the various tactics used against a Target? Who are some of the perpetrators? Based on my many years of investigating counterintelligence operations, as well as my experiences in having become a Target of COINTELPRO, I present an overview of how COINTELPRO operates. Into this framework, we can then place the real life experiences of Targets which illustrate and exemplify the tactics. 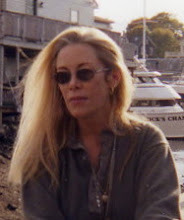 Dr. Carpenter and associates were targeted for extreme harassment, stalking, political persecution, libel/slander campaign, bogus lawsuits, all because her innovative cancer treatments present an effective alternative to those used in the mainstream medical establishment (Medical Mafia) and Big Pharma, and at a fraction of the cost of the drug/cut/burn methodology. We name names of some of the primary perpetrators of COINTELPRO and their minions, stooges and shills. We also discuss controlled opposition in the 'alternative media' and their tactics of fear-mongering, misdirection, dissemination of pre-packaged black propaganda (including against high-profile Targets of COINTELPRO), censorship and intimidation tactics by media shills. Dr. Carpenter invited me back for a second program, since we didn't have time to cover much of the material we had planned to discuss. Part 2 of the COINTELPRO program will be aired live on Saturday, April 28 on Orion Talk Radio.